Did you know that Viral Hepatitis A, B and C are the most common causes of Liver Disease in the world? Hepatitis A (Hep A) is an acute, short lasting liver disease. Hep A causes mild to severe inflammation of the liver. Some common symptoms are loss of appetite, yellowing of the eyes (jaundice) nausea, vomiting and pain under the right rib cage. There is an estimated 1.4 million Hep A cases each year worldwide. Did you know Hep A is the one of the most preventable types of Hepatitis? 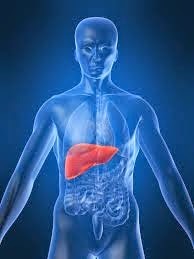 Hepatitis B (Hep B) is an acute to chronic liver disease. There is an estimated 240 million people living with Hep B worldwide. Hep B in children is usually not diagnosed until later adulthood when they have symptoms. Some common symptoms include lack of appetite, yellowing of the eyes (jaundice), nausea, vomiting and pain under the right rib cage. Did you know that Hep B is the most common cause of liver disease worldwide? Hepatitis C (Hep C) is a mild to severe liver disease depending on how long it lasts. Hep C can last for a short time or long term throughout life. Some of the most common symptoms include excessive tiredness, yellowing of the eyes (jaundice), nausea and vomiting and pain under the right rib cage. There is an estimated 150 million people that are living with Hep C worldwide. Unlike Hep A and B, there is no vaccine available for Hep C.
Did you know that Hepatitis C is the most common cause of Liver Cancer in the U.S? Who are most at risk for Hepatitis? Many people with Hep B or C do not know they have it until they have symptoms. Often times they are diagnosed many years later and have cirrhosis (scarring of the liver), end-stage liver disease or liver cancer. You can STOP the silence by sharing the jade ribbon for Hepatitis and Liver Cancer Awareness to awaken people to Hepatitis, the silent killer. Also, join in with World Hepatitis Day activities on July 28th by sharing this blog post! Jameisha (Meisha) Brown is a Research Coordinator II in the department of Pediatric Gastroenterology, Hepatology & Nutrition at Baylor College of Medicine and Texas Children’s Liver Center. She graduated with honors from the University of Houston with a Bachelor of Science in Health Promotion with a minor in Psychology. She then earned a Graduate Certificate in Health Disparities from the University Of Texas School Of Public Health at Houston. She is currently pursuing a Master of Science in Health Studies with a focus on Higher Education at the Texas Woman’s University, College of Health Sciences.